Fate can work in mysterious ways, especially in racing. Hawkesbury trainer Bernie Kelly and his wife Anne were preparing to sell their North Richmond property late last year and relocate to Scone when Bobbing won the inaugural $150,000 Spring Provincial Series Final at Kembla Grange on December 1. If the sale had proceeded as planned at that time it would have ruled the lightly-raced five-year-old ineligible for this year’s renewal of the PolyTrack Provincial Championships, - and denied the Kellys the joy of seeing their gelding win $500,000 final at Randwick on Saturday ridden by Koby Jennings. Jennings was meant to have ridden Bobbing in the Spring Final last December but lost the mount to Rory Hutchings, then under the same rider management, through a misunderstanding. Jennings ended with the ride in the final on Newcastle-trained Chalmers, who ran seventh. Remarkably, fate intervened to provide both Bernie Kelly and Jennings with the opportunity to each notch the most important success of their careers with Bobbing on Saturday. Kelly has since gone ahead with the sale of his property in the last month but the delay enabled him to continue preparing Bobbing at Hawkesbury and qualify him for the prestigious final. 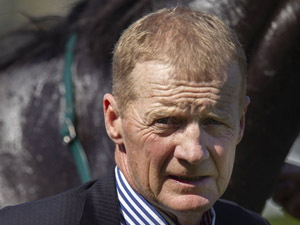 Circumstances combined to provide Kelly with the chance to qualify Bobbing at Wyong after he had withdrawn the horse from the second qualifier at Newcastle on March 9 on race morning because of a throat infection. Rain then washed out the Rosehill trials on March 19 where Kelly had planned to start Bobbing, forcing him to also miss the fourth Kembla Grange qualifier four days later. Finally at Wyong Bobbing didn’t let him down, turning in an outstanding performance to go under narrowly to Turnberry after coming from last and circling the field. 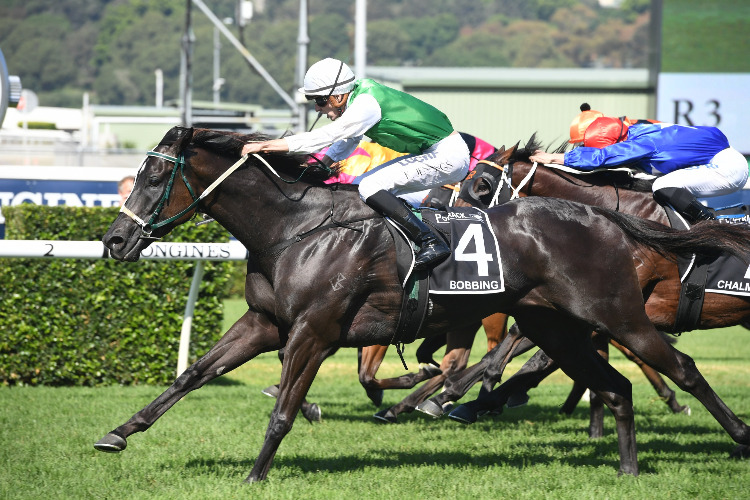 With only three horses in work and without a starter in a city race since 2010, for Kelly to win the $500,000 final on Saturday was a dream result, especially as it added another chapter to his family’s Randwick racing history. His later father Noel, based at Ballarat in Victoria, having trained the 1974 Epsom Handicap winner Citadel. “I was at Flemington the day Citadel won the Epsom. Dad also won the Edward Manifold Stakes at Flemington with Rainburst - it was a big day for the stable,” Kelly recalled. Bernie Kelly trained his first winner Double Edge at Cessnock in 1985 for Lomar Park Stud owner Fred Peisah. “I was working at Lomar Park for Fred, and he had this retired racehorse Double Edge and suggested I have a crack at getting him going again,” he said. Kelly and his wife Anne bought a share in the ill-fated Redoute’s Choice stallion Beneteau, who sired only two crops before his untimely death at Arrowfield Stud on the day the couple celebrated their 25th wedding anniversary in 2013. They had sent their Dehere mare My Dear, a city winner at Canterbury, to him and Bobbing was the product of the mating. The Kellys were overjoyed, understandably, as My Dear’s previous two foals - colts by Beneteau and Nicconi - never had the chance to make it to the racetrack. One died from a foreign disease and the other from a severe bout of colic. Bobbing was a slow maturer and Kelly gave him only one start as a late three-year-old at Hawkesbury in May of 2017. In what was to become his trademark finish, he came from last in a 5 f Maiden Plate to be narrowly beaten by Japhite. A fractured splint bone then put him on the sidelines and he did not reappear until 12 months later when fifth in another 5 f maiden at Goulburn. It was the only unplaced performance in his 10-start career to date that has now yielded five wins and four seconds. Until Saturday’s big win Kelly had only 19 city runners without success since My Dear won at Canterbury in 2003. His last metropolitan starter was Guilietta at Canterbury in 2010. Bobbing was his first runner at Randwick since 2007.